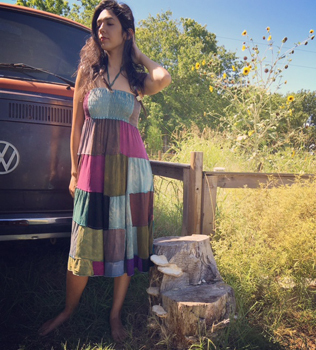 Hip Mountain Mama has proudly been shipping the highest quality hippie clothing, boho styles, and handmade jewelry since 2008. We love offering the highest quality products to our amazing customers. It is truly a pleasure to serve our community of free spirited folks. We appreciate your support of our online store as well as your friendship and good vibes. 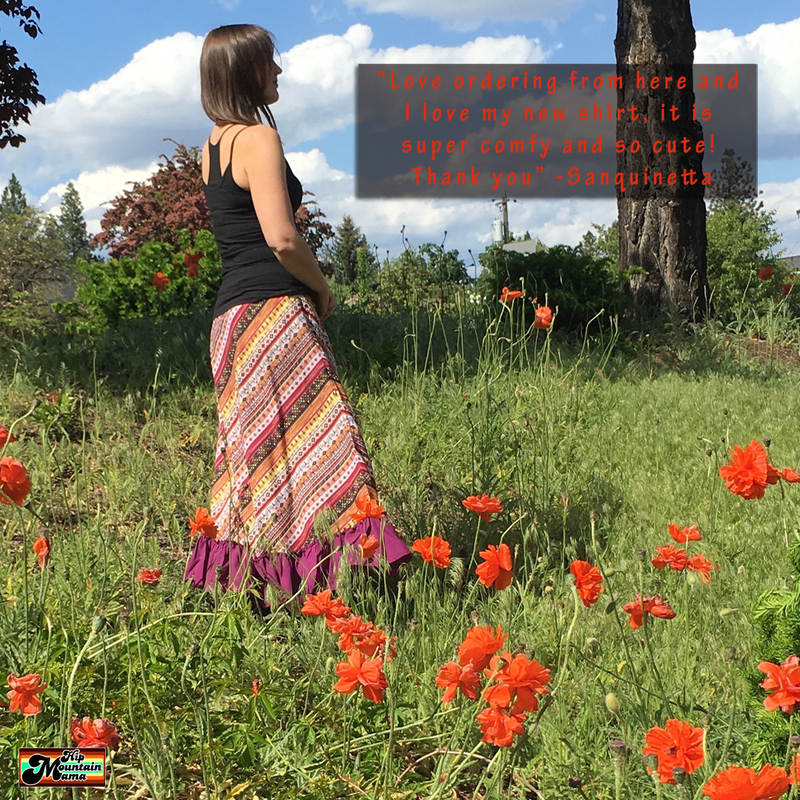 One thing that we love is when our customers decide to share their experience with Hip Mountain Mama. You can let us know how we're doing by leaving a review. Our online store allows for reviews right on the product pages. This is a great way to let people know what you think of the products you've received from us. Everybody wants to see real customer reviews online so we appreciate you spreading the word. In addition to product reviews, we'd love to have you share your overall experience by reviewing Hip Mountain Mama on Google Plus or Facebook. Simply follow the links below and let others know what you think. Your hippie clothing reviews are appreciated. Not a customer yet? Follow the links to read the reviews and see what others think of our online store. "Love ordering from here and I love my new shirt, it is super comfy and so cute! "I just got my bellbottoms. I'm in love. They are so comfy. I'm going to order every color. I am so happy with the items I've ordred so far. Can't wait to get more! Thank you for all of the wonderful reviews, testimonials and support. 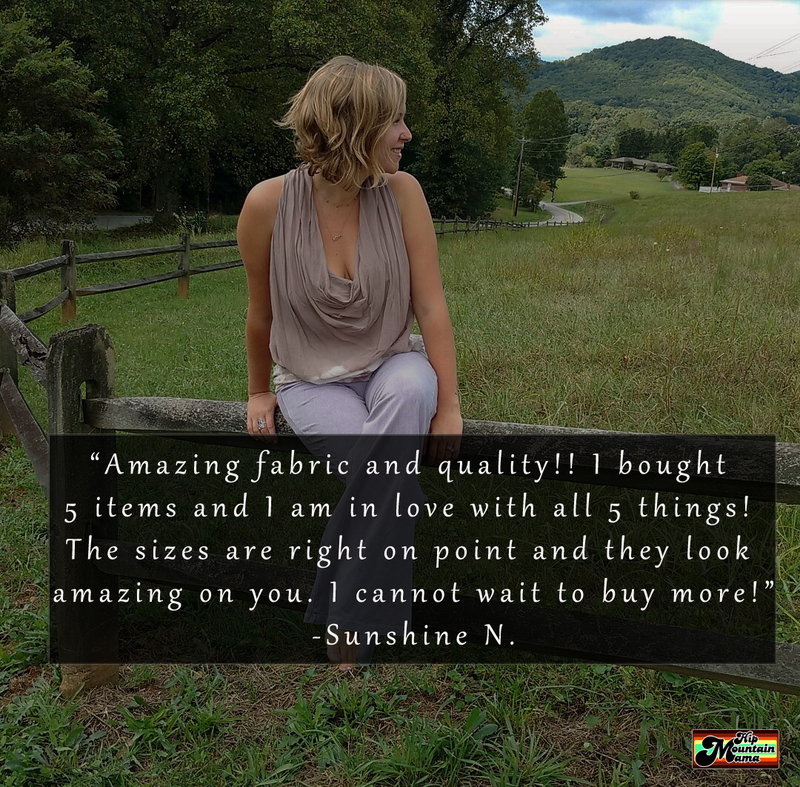 We love our customers and love hearing from you. 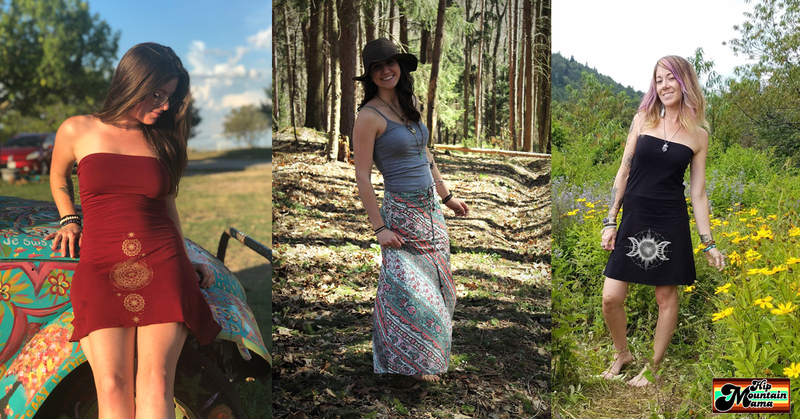 If you haven't purchased any hippie or boho clothes from Hip Mountain Mama, what are you waiting for?